Broad Heath Blogs»Class Blogs 18-19»Class 3 White Blog 18-19»3 White- retelling a story. ← Year 5: News Reporters! 3 White- retelling a story. This half term, we are learning about adventure stories in Literacy. We have read Jumanji and Robin Hood so far. What are the features of an adventure story? Today we retold part of Robin Hood’s adventure in different ways. 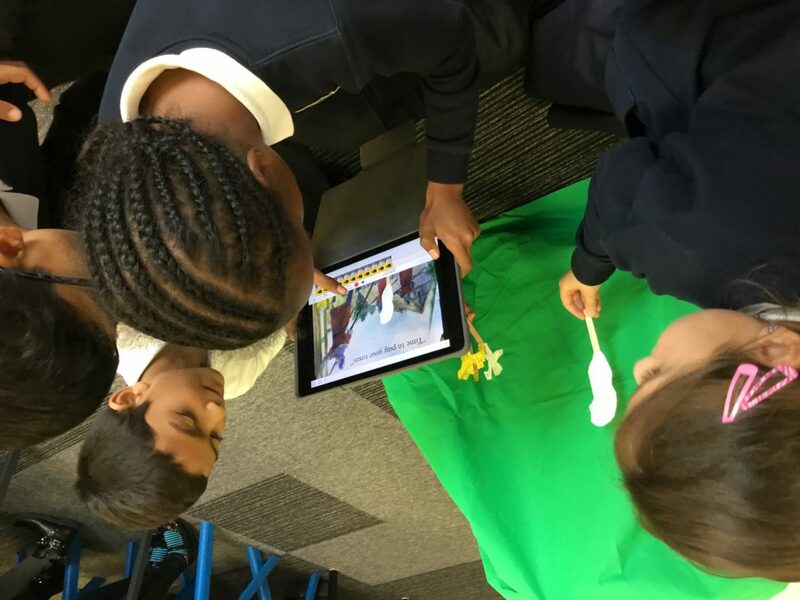 This was done in different ways such as green screen technology and puppets, comic strips and group retelling using picture prompts. 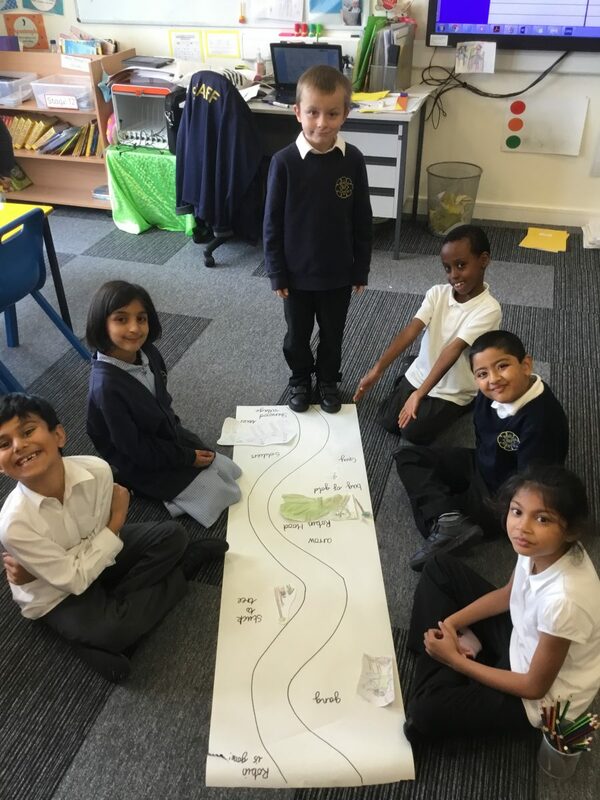 Here is a group walking down the path and retelling the events as they pass them. Using the green screen equipment. This group acted out the story and then created a Pic Collage with captions. 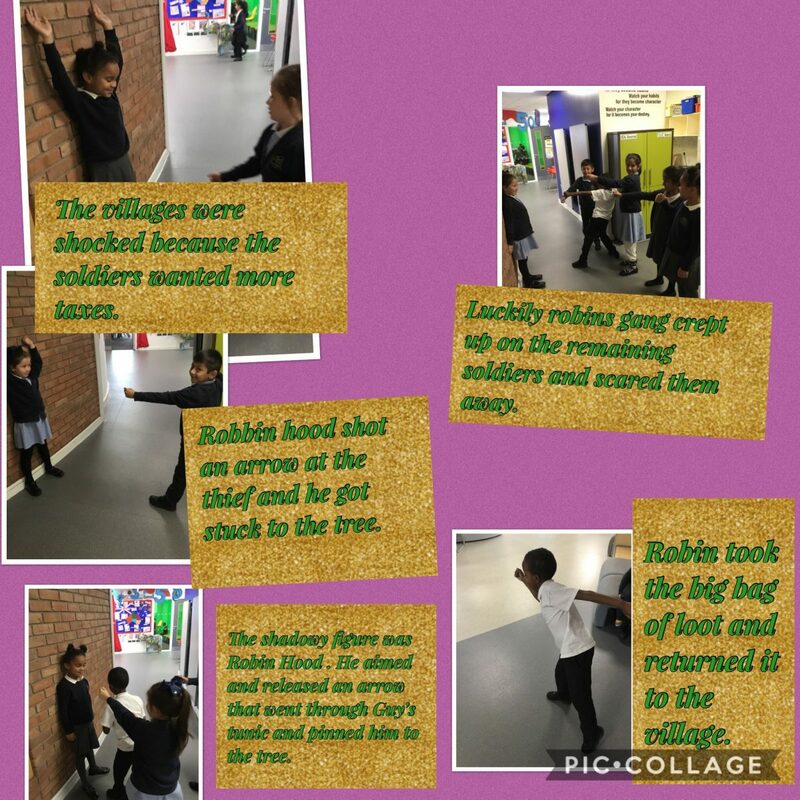 Can you retell the adventure Robin Hood has had so far? This entry was posted in Class 3 White Blog 18-19, Uncategorized. Bookmark the permalink. Hi Mrs Street, I cannot access the homework on Education City. I get a message to contact your teacher for home access. Please can you help. Guy took all the villages gold. A figure appeared it was Robin Hood. Robin Hood shot a arrow at the shirt that Guy was wearing. Robin Hood gave the gold back to the poor. The features of adventure story are that there has to be a happy beginning and then a problem and it has to be solved and there is a happy ever after.